In the case Staatlich genehmigte Gesellschaft der Autoren, Komponisten und Musikverleger registrierte Genossenschaft mbH (AKM) V Zürs.net Betriebs GmbH (C-138/16, Judgment of 16 March 2017) the CJEU was called upon to decide once again on the seminal concept of communication to the public. The right of communication to the public, which has proved to be the cornerstone for the current application of copyright law, has been interpreted flexibly by the CJEU in a variety of situations, in order to cover both analogue and digital transmissions or other ways of intentionally making available or facilitating the unauthorised access to copyright protected works: broadcasting of copyright protected works in hotel rooms, rehabilitation centres, cafes and spa establishments, and hyperlinking (see C-466/12, C-160/15, C-527/15 and C-610/15). With the controversial exceptions of the Marco del Corso and Svensson cases, the CJEU has generally opted for a wide-ranging interpretation of this right and responded in the affirmative on whether communication to the public occurred. The CJEU has also built its own line of reasoning in relation to the conceptual core and the substance of this right. The right was decomposed by the CJEU in a series of pieces, a bundle of complementary and interdependent criteria (new public, the profit making purpose of the user, the knowledge, actual or constructive, that the works were initially communicated without the authorisation of the rightholders) which were used by the Court variably, with no order of significance, depending on the particularities of each case. The present judgment lies within the marginal cases where the Court found that no communication to the public occurred. The Court was asked whether Zürs.net, which operates a cable network installation by means of which it transmits television and radio broadcasts which are initially broadcast by the national broadcasting corporation and by other broadcasters, should get an authorisation from the copyright holders for the transmission of those broadcasts. The Court was also asked to decide whether a special exception in the Austrian copyright law, which exempts small communal antennae installations (where the number of subscribers connected to such an antenna is no more than 500) from the requirement to obtain the authorisation of the copyright holders, is compatible with EU law and the Berne Convention. In relation to the first question, the Court first confirms its previous basic findings on the conceptual division of the right of ‘communication to the public’ into two cumulative components, namely, an ‘act of communication’ of a work and the communication of that work to a ‘public’. The act of “communication” is technologically neutral (“any transmission of the protected works, irrespective of the technical means or process used”). However, every time a new specific technical means is used, the act of transmission or retransmission must be individually authorised by the copyright holder (para. 23 of the judgment). As a result, the fact that the transmission at issue is made through cables, that is to say, by a technical means different from that used for the initial broadcast transmission, permits the finding that Zürs.net is making a communication. However, not all communications target a new public and, in the opinion of the Court, this is also true in the present case. As the Court notes, given that the distribution of the works by means of cables is carried out on the national territory and that the persons concerned have therefore been taken into account by the rightholders when they granted the original authorisation for the national broadcaster to broadcast those works, the public to which Zürs.net distributes those works cannot be regarded as a new public. By doing so, the Court reverses its previous line of reasoning in the TV Catchup and Bestwater cases, where it was found that there is no need to prove the existence of a “new public” when communicating works through a different technical means of transmission. Indeed, the existence of the new public shall be established only when the same technical means of transmission is used. The sudden disappearance of the presumption in favour of the existence of a new public in the case of use of a new technical means of transmission makes the evaluation of whether an act of communication to the public occurred again a three step process (proof of a “communication”, of a “public” and of a “new public”). This enables the Court to deny the existence of an act of communication if the defendant proves that the public which was initially targeted by the communication is the same as the one targeted by the subsequent retransmission and, as a result, is covered by the right holders’ authorisation. The evaluation of the scope of the initial authorisation is a delicate task and the Court does not further elaborate on which criteria it shall be based. Indeed, subsequent retransmissions are copyright free if they are covered by the express or implied consent of the copyright holders. This presupposes an analysis of contractual terms and of facts, which will depend on the national law on copyright contracts, the law of contracts and general private law principles, such as the concept of abuse of rights. Additionally, contrary to its previous case law, the Court does not discuss the commercial character of the activity of Zurs.net. We may conclude then that the change of technological means of transmission does not create an irrefragable presumption of a “new public“, as the other CJEU decisions implied, but just a simple one, which can be refuted by referring to the right holder’s intention. It seems that the Court may have implicitly taken into consideration other factors, such as that the transmission of zurs.net was a full and unaltered transmission of programmes broadcast by the national broadcasting corporation and other operators and also the small audience of the cable network (only 130 subscribers). Furthermore, there is no analysis of whether the activity of zurs.net fulfills media law principles, such as a universal service policy. This is understandable because, even if this was the case, this is a public policy factor external to copyright law, which cannot be expressly taken into consideration for the affirmation of the application of the right. Taking such an element into account would have presupposed a balancing of interests either on the grounds of an existing express copyright exception (this is not the case, since there is no such consideration in the exhaustive list of copyright exceptions of the Information Society Directive 2001/29) or at a fundamental rights level. In relation to the second question, the CJEU affirmed its well established principles of a high level of protection of intellectual property and of the narrow interpretation of copyright exceptions (para. 37 and 38). Since the Austrian copyright law exception falls within the “grandfather” clause of Article 5 (3) (o) of Directive 2001/29, it shall be interpreted and applied as a case of minor importance. 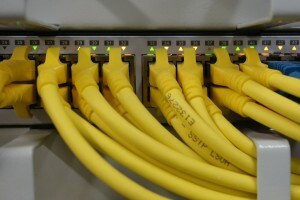 Nonetheless, in the opinion of the Court, this is not the case since multiple economic operators could take advantage of the exception and this could lead, over the whole of the national territory, to a situation in which a large number of subscribers have parallel access to the broadcasts distributed that way (paras. 40 and 41). Therefore, by limiting itself only to the interpretation of the conditions of the application of the exception, the Court avoids elaborating on the question of the compatibility of the exception with the three step test. This would have been welcomed, since the reasoning of the Court in relation to the cumulative effect of the uses which could be justified on the grounds of that exception could also be seen as a part of the inquiry on whether an exception is harmful for the normal exploitation of works. This is the second time the CJEU pronounces itself on a national copyright provision enabling cable retransmission of an initial broadcast without the author’s authorisation. In the TV Catchup 2 case, it was found that section 73 of the UK Copyright and Designs Act is not compatible with EU copyright law and that Article 9 of Directive 2001/29 is only intended to maintain the provisions applicable in areas other than that harmonised by the directive. In conclusion, the Court opts for an interpretation which focuses on the enigmatic concept of the “public” (dynamic resurgence of the criterion of new public, focus on the cumulative number of potential audiences as an important element of the concept of “public”). This is justifiable, since the concept of the “public” is the foundation of the right of communication to the public. Linking the existence of a new “new public” with the consent of the right holders is an element which makes the right of communication to the public less “absolute”, since the Court has to evaluate whether the right holders have taken into account the public targeted by the subsequent transmission or retransmission when they initially authorised the communication of the works to the public. The application of the right of communication to the public ultimately depends on a complex combination of subjective and objectivised criteria (express or implied consent of the right holders, actual or constructive knowledge of the intermediary/user that the works were initially communicated without the authorisation of the rightholders). This enables the Court to arrive at more flexible findings, but at the same time this also creates more legal uncertainty. The establishment of certain legal presumptions (see our comment on the Filmspeler case) renders this evaluation more standardised. But, it appears that there is still a long way to go to achieve consolidation of the principles governing the application of the right.